Buzzbar is a family-owned ice cream maker out of Vermont that combines all-natural dairy ice cream with various spirits to create some absolutely unique alcoholic ice cream bars. Some of their alcoholic ice cream bars include their Vanilla Daze, which combines vanilla ice cream with cognac, their Bourbon St. Chocolate, which combines chocolate ice cream with whiskey, and their Majestic Mango, which combines mango and lime sorbet along with silver tequila. Additionally, their ice cream offerings are a lot healthier than many traditional non-alcoholic ice creams since they don’t use any chemical preservatives or high fructose corn syrup (and they are GMO-free to boot!). 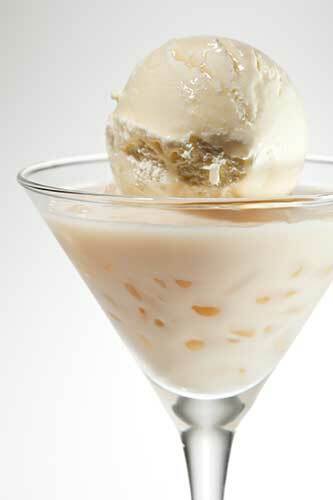 The combination of ice cream and beer or ice cream and liquor is probably something that you’ve heard of before. However, it’s less likely that you’ve ever heard of wine ice cream, or have ever even considered combining the two. Somehow, Mercer’s Wine Ice Cream has managed to do so with delicious results. Mercer’s has ice cream offerings for all types of wine, including sparkling wine, white wine and red wine. Some examples of their ice cream flavors include Red Raspberry Chardonnay, Strawberry Sparkling, Chocolate Cabernet and Cherry Merlot, just to name a few. SnöBar offers both alcohol-infused ice cream and alcohol-infused ice pops. Their motto is “a full cocktail in every serving,” which means you know exactly what to expect! While they have several delicious ice cream flavors, it’s their ice-pops that steal the show. Each one of their ice pops is based on a well-known cocktail. They offer Margarita ice pops, Mojito ice pops and Cosmopolitan ice pops. These are just a few of the alcohol-infused ice cream treats that we highly recommend you try out this summer if you get the chance. You can always make your own alcohol ice cream treats as well. Even if you don’t want to go through the trouble of making an alcohol-infused ice cream, it doesn’t take that much effort to make a delicious beer float! Of course, there’s no substitute for an ice cold beer, which is why you should be sure to check out some of summer seasonals that we carry here at Columbia Distributing as well.